The next RIT Big Shot promises to be a beautiful photo finish when Rochester Institute of Technology’s longtime community photography project captures a spectacular nighttime image of a national icon –Churchill Downs Racetrack, home of the Kentucky Derby, in Louisville, Ky., on Saturday, Oct. 3, 2015. This year’s 141st Kentucky Derby Presented by Yum! Brands – the oldest continuously held sports event in the United States – drew more than 16 million television viewers on NBC and on-track attendance of a record 170,513. Residents will join RIT students, faculty, staff and alumni for the photo, which will be taken after sunset on Oct. 3 – around 9 p.m. (all times Eastern) – regardless of weather conditions. 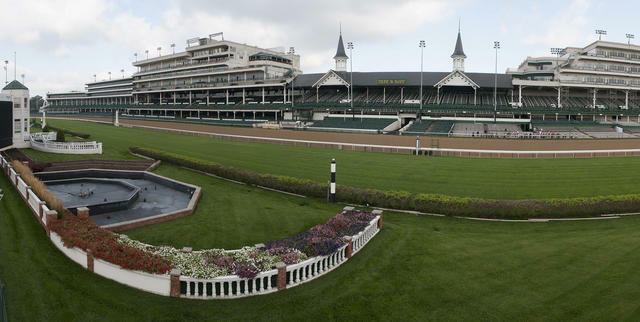 Gates at Churchill Downs will open at 7:30 p.m. Volunteers are asked to arrive no later than 8 p.m., bring either a flashlight or a camera flash unit, and wear dark clothing. Volunteers will be broken into lighting teams and placed around the racetrack’s interior and in the grandstand by RIT organizers before test photos are taken and the final photo is captured.